Nearly a month after deadly terror attacks severely damaged India’s five-star hotel industry in Mumbai, the Oberoi Group's Trident Hotel and the Taj Towers have re-opened for business. At the Trident Hotel, 45 guests checked in and one lucky customer got a thank you card instead of a bill. At least 30 people were killed in the hotel during the terrorist attacks in Mumbai on November 26. The hotel re-opened following a multi-religious prayer meeting in its lobby attended by several prominent citizens including Chief Minister of Mumbai Ashok Chavan. “If a guest walks in, there won't be a single scratch to remind him or her of the attack,” Trident President Rattan Keswani told reporters on the eve of the reopening of the 550-room, 35-floor hotel. Keswani praised his staff for their conduct during the three-day siege, saying employees had put personal safety at risk in order to save the lives of guests. While acknowledging the tremendous grief over the lives lost, Keswani said that his staff was ready to get back to doing what they do best – serving the guests. The hotel is operating at full capacity, with all 550 rooms and four restaurants open for business and bookings. “About 100 of our rooms are booked from tomorrow,” said Keswani, adding that 50 to 60 of the guests were Indian. Keswani called on the media to help allay guests’ fears and put Mumbai back on the tourist map. “We need you to help us get the travellers back,” he said. Devendra Ksheer Sagar, the first customer at one of the restaurants, received a card saying: 'Thank you for your support' and a bouquet of flowers as he finished his tea. “I was surprised when I got the card instead of the bill,” said Sagar. “I had come here (Marine Drive) for my morning walk and since I knew the hotel was re-opening I decided to try a cup of tea,” he said. Sagar added that the citizens of India not should be intimidated by terrorists. 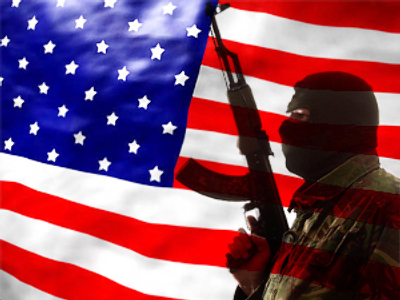 “We should scare them with our resolve to fight back,” he said. Amit Kirti, another client new to Mumbai, said he felt compelled to visit the Trident. “I felt I had to come out of solidarity, to show that the city is not scared of terrorists. We will fight,” said Kirti. The Trident has increased its security checks and installed more surveillance systems. Guests now have to stop at road level and show their identity before being allowed to enter the hotel driveway. A large X-ray machine supervised by security personnel is in place for luggage and bag surveillance at the hotel’s entrance. The Oberoi, Trident's sister hotel, has not yet been re-opened. Parts of it are still boarded up, including the main picture window that looks out onto the Arabian Sea. Hotel authorities could not say when the hotel would be operating again. Taj Hotel General Manager Karambir Kang, whose wife and two young sons were killed in the deadly terror attack on the hotel on November 26, has also returned to work. Kang's wife Nitti and their two sons, 14-year-old Uday and five-year-old Samar, were on the sixth floor of the Heritage wing of the Taj Mahal Hotel during the attack that lasted nearly 60 hours. Despite losing his family, 40-year-old Kang continued to supervise rescue operations and help guests at the hotel. She added that they watched the ordeal on their television and saw the fire on the tower. “We saw with our own eyes that the ladders were not reaching that height,” she said. By Thursday morning it was clear that Kang’s family was not alive but despite his own personal tragedy, the Taj GM found the courage to help the evacuation process and save other lives. The sixth floor, where his family was staying, was burnt down completely. Kang’s wife and two sons died of asphyxiation. Forty-year-old Kang took charge as General Manager of Taj Mahal and Tower in November 2007 and has 17 years of experience in the hospitality industry. At the Taj Hotel, 1,000 people, from business leaders to guests, attended a private reception yesterday marking the re-opening of the hotel's modern 268-room tower section. “We dedicate the restored hotel to those who have lost their lives,” declared Ratan Tata, Chairman of Indian Hotels, the company that owns the Taj. Two-thirds of the hotel’s rooms are booked and two popular hotel restaurants, the Zodiac Grill and Souk, already have waiting lists, said a hopeful R.K. Krishna Kumar, vice chairman of Indian Hotels Company Ltd. The heritage wing of the hotel, badly damaged in the attack, will be opened in phases starting from February, he said, adding that the hotel will be fully operational by the end of next year. 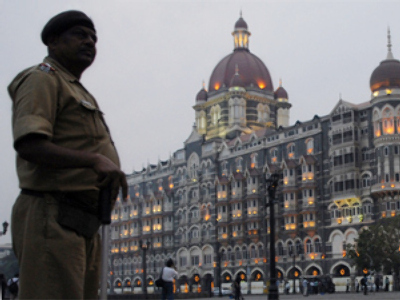 The Oberoi-Trident hotel, facing the Arabian Sea at Nariman Point, and the Taj Mahal Palace and Tower, near the Gateway of India, were the key targets in the November 26 terror attacks. 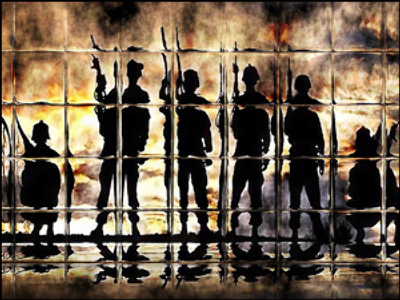 Military order – remedy to problem of US war contractors?